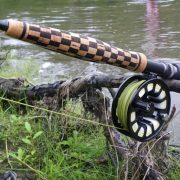 Do I really need a custom rod? We get asked this many times, and it is difficult to define a need. Does a person really need two pairs of brown shoes? Does someone really need that $5 coffee at Starbucks? In many cases, the answer is, yes! Need is really a want, right? 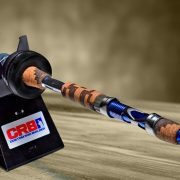 So if you want the flexibility to have one or more fishing rods perfectly tweaked for your style of fishing, then yes, you may need to fish with a custom rod. 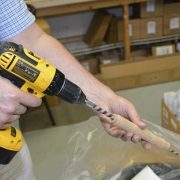 Why Consider A Custom Fishing Rod? Performance. When you build a rod, the first thing you do is find the spine of the rod, which ensures your guides will be aligned correctly on that rod. This gives your rod the absolute maximum power and performance, and is a clear advantage over factory made rods. Weight. Since you get to decide the components and accessories that do (or do not) get on your rod, you can really keep the weight down. This may not matter if you are going fishing for an hour with a bobber and night crawler, but if you sling spinner baits all day, this will definitely add up to more enjoyable fishing conditions. Options. If you want a checkerboard split grip on an ultralight, with a fly rod tip top guide, and a rattlesnake skin inlay above the winding check, well, you can do it! Pricing. Like anything else, you can spend more, or spend less. For example, if you are just starting out, you can get rod kits that start for under $50. 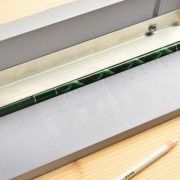 If you are a professional builder, you can buy the higher end products and accessories as well. Hobby. Some people just love building rods, and spend so many hours developing intricate patterns on their rods that they never fish with them. The rods just hang on their wall next to some stuffed fish as a decoration. Are custom rods better than factory rods? It is really an apple to oranges comparison. Factory made rods work fine for what they are, but they lack the options more and more fisherman want. You can’t go to a retail shop and say you want rod “X” (off the shelf) but with a split grip and different (micro) guides. 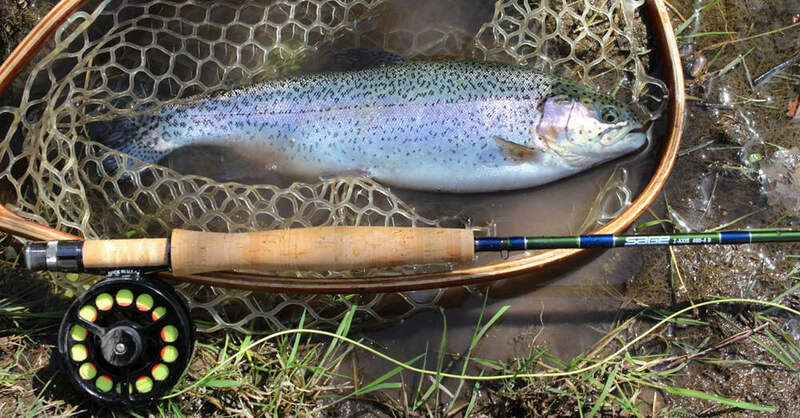 The whole point of a custom rod is to marry the feature sets of the finished rod to your unique fishing requirements. Heck, even to your unique esthetic requirements. Let’s say you desire a certain diameter or shape of handle that is not available commercially. Or maybe your type of fishing requires something that you just can’t get in a rod off a store rack. Since you are the rod builder (or you hire someone else to build it), you can accommodate any need or desire you have as a fisherman. 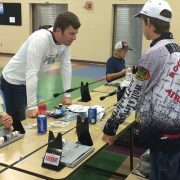 Do custom rods perform better? Actually the answer here is a definite yes! 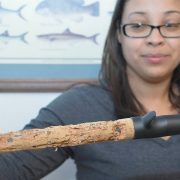 When you make your own fishing rod, you can use the most modern and technologically proven materials and techniques. This may result in many benefits, including equipping you with a stronger rod, with more sensitivity, at a fraction of the weight. 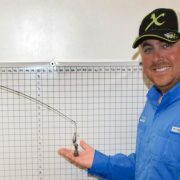 There is also rod balance, and the role it plays on the fatigue you feel after a long day’s fishing. 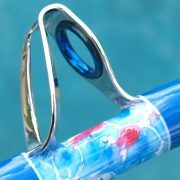 A light, well balanced custom rod, created just for you, will do a lot to reduce the strain and stress you feel. If I get a custom rod, does it have to include fancy wraps and decorations? You are only limited by your imagination. There are some amazing products out there now that allow you to add all sorts of colors, decals, wraps – you name it. However, you can be Johnny Cash and wear all black if you want to. It’s the whole point of rod customization! Well, perhaps it is time to give building a custom fishing rod a shot!